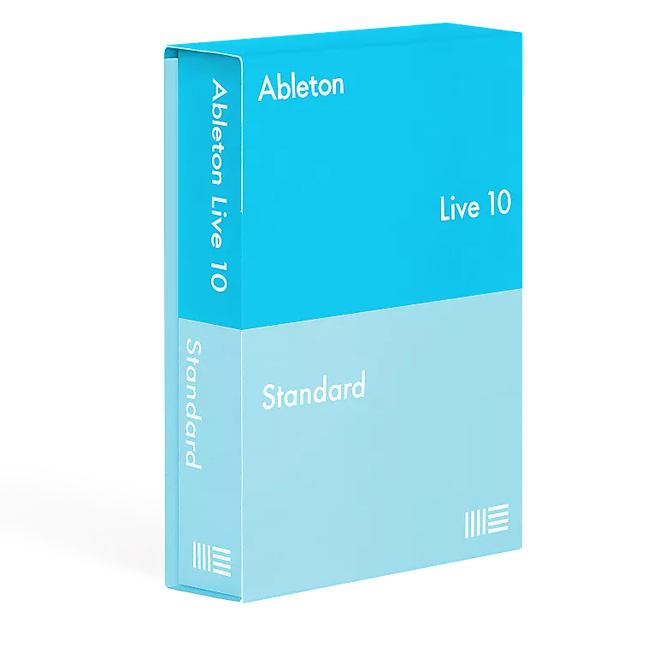 Following Ableton Live 10’s official release earlier this month, we’ve pointed out some of our favorite new features and looked at three powerful mixing tools Live 10 offers. Today, we’re diving deep into the DAW’s new Echo effect, a powerful stock plugin that opens up an entire history of echo and delay sounds. Ableton’s Christian Kleine led the research at the heart of the new plugin. In an article explaining the development team’s motivations behind Live 10’s new features, Kleine said they looked into the inner-workings of analog units like the Roland Space Echo, WEM Copicat, and Morley Oil Can to capture some of their character, quirks, and imperfections. "Precise effects have their own charm, but Live’s new ones mean you create more sounds that don’t just sound like computer music," Kleine said. But Ableton didn’t seek to emulate those classic units exactly. "It was more about capturing the spirit of these things, covering similar sonic space." 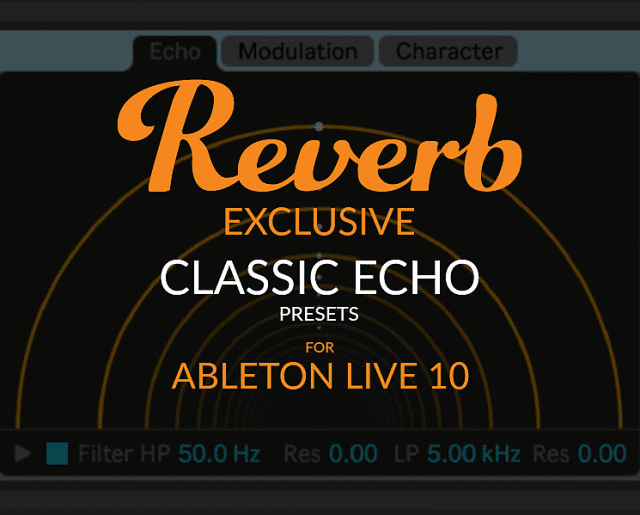 To see how Live 10’s Echo plugin fares when taking on these classic sounds, we’re traveling through different eras of echo and delay, using Live 10 to match a rich history of iconic effects, from the "slapback" echoes of the ‘50s and ‘60s through the side-chain delays of the 2000s. You can download the presets we created for each era exclusively through Reverb here. The 1950s and early 1960s was all about slaps and taps. While previously, audio engineers were using tape and reel-to-reel machines to create the first delay effects during the mixing process, the '50s saw the birth of innovative, standalone echo units. Ray Butts' EchoSonic, built in the early ‘50s, was a portable guitar amplifier that had a built-in tape echo effect. It’s what gave that slapback delay sound of the 1950s to rock ‘n’ roll guitars like Scotty Moore’s. As the guitarist for Elvis Presley's band, Moore and his use of the EchoSonic were so popular that other manufacturers soon made their own echo units, like the classic Maestro Echoplex line. Using Live 10’s Echo plugin, we focused on making it sound as much like an Echoplex from the mid-’50s as possible. This means making a short feedback and short delay time, with no stereo width or modulations whatsoever—creating rustic, straight-to-the-point slapback delay. In the early ‘70s, Ace Tone—Ikutaro Kakehashi’s company before he started Roland—began to release the EC-1 Echo Chamber, a design that eventually matured into Roland’s RE-101 Space Echo and RE-201 Space Echo. This ‘70s sound was all about the tape—so we made sure to give our version enough grit by driving more input to retain the tape-like saturation. Mixed with slight wobbles to simulate the tape’s wow and flutter makes for a great Space Echo-type delay sound. We purposely kept the modulation un-synced and set at a super slow rate to give it the vibe of natural tape movement. The '80s were not only the era of big colors, big pants, and big hair, but even bigger delays. The digital age set in—and you can hear it on so many songs that came out during this time. Single, smaller digital delay pedals gave more musicians access to delay effects than ever before. Soon, they were used on pretty much anything, from synths to vocals to guitars and beyond. Boss were the heavy-hitters in this era, with their DD-2 stompbox and eventually the DD-3 in 1986. ‘80s delays were meant to sound futuristic, creative, and sometimes a bit over the top. Drums provided by Black Octopus Sound and Production Master in their pack Miami 1982. There’s nothing like a bit of digital delay on a blazing synth. We focused on making this feel like a Juno-60 thrown into a DD-3 pedal and fed back in for record. It is dry and to-the-point, without any modulations. It’s synced with 1/8 dotted notes. There is a slight EQ filter that reacts very much like the DD-3 pedals of the ‘80s. You can hear how it cuts much more than a tape delay and isn't as "buttery" overall, which showcases the overly digital nature of the era’s sounds. The ‘90s as a whole were actually quite dry in comparison to the many delay-drenched genres of the '80s or '70s—until, that is, you listen to shoegaze acts like My Bloody Valentine and Slowdive. To achieve these sounds, you can use a combination of long, feedback-heavy delays and reverbs. On a guitar, these effects together can create a wall of sound. But delays and reverbs weren’t the only effects being used, hence the name "shoegaze"—too busy gazing down at pedals to look up. Reverse reverbs played a big role in this sound alongside the beloved Big Muff distortions and fuzz. When it comes to delays, its all about modulations and being able to pitch shift the delays to create bigger harmonies. To achieve this tone, we sent the guitar into both the new Ableton 10 Pedal Plugin (which emulates a guitar pedal) and the Echo plugin with two instances of Echo—one to give an even more reverberated, short delay signal and one to handle the longer delay signal and echo duties. You can add your favorite reverb plugin and tweak as needed to build it even more. Our audio example actually sounds more modulated than it really is. We didn’t even touch the modulation. Instead, it’s about the relationship of both instances of echo, which end up modulating with one another naturally. Acts like Destiny’s Child, ’N Sync, Missy Elliott, and more stars of the 2000s found great use of delay effects in the way of random filter delays and more creative panning techniques or sample cut-ins. Thanks to software-based plugins and productions, the concepts were never quicker or easier to use. Many realized you could have more control, and, in return, that meant you can use the effects more thoughtfully, in more subtle ways. This made it common to apply different delay types to different moments of the song, as needed. Often, the effect isn’t even noticeable unless you solo the vocal track—the delay just serves to add width and movement to voice. Vocal example provided by Licia Chery from her song "Treat Me Good." Hear the original song here. This type of delay revolves around precise panning techniques and filters to showcase the flexibility found in a range of software plugins. We made more of an attempt to have rhythmic panning by unlinking the sides and applying more filters overall. A heavier dry/wet ratio was used to showcase the swells and feedback of the delay. We also used the "ducking" feature under Echo’s "Character" tab to help it have a side-chained effect and made it a bit over-the-top just to show what the Echo plugin can do. With Ableton Live 10s Echo plugin, we can go pretty extreme and do some really unique things—something crazy or something simple. 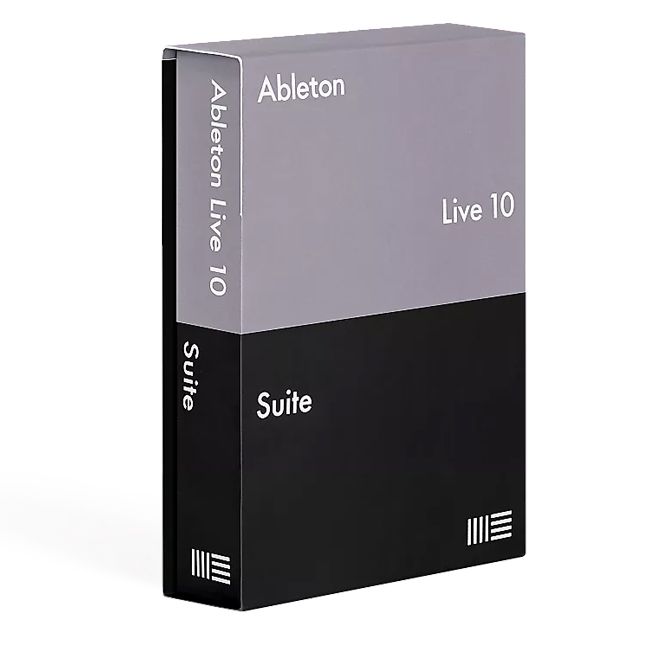 As you can hear in our examples, we have been able to achieve delay sounds that used to require a giant refrigerator-sized machine to accomplish, all in a single stock plugin from Ableton Live 10. It’s really amazing to think about. We have arrived at a level of advanced technology that is astounding to say the least. What always seemed to be nothing but far-fetched dreams for producers and engineers alike have become reality. We have tools that could do it all—in one single knob or a click of a mouse—at our fingertips. Grab Ableton Live 10 today and put the Echo into your own productions. If you're already an owner of Ableton Live 9, Reverb has many different upgrades available to get you up-to-date with this latest release.